Today we highlight tremendous business analyst and post-consulting leadership jobs at Amazon. Named by Forbes as one of their 2017 Top 10 most reputable companies, Amazon originally began as a bookworm’s dream come true. Now, the Seattle based company has changed the landscape of online buying. Amazon.com, Inc. is a Fortune 100 company based in Seattle, WA. Founded in 1994 and incorporated in 1996 by Jeff Bezos (still the Chairman, President, and CEO), Amazon has over 88,400 employees and generated revenues of over $107B in 2015 (not too bad, if you ask us). Bezos named Amazon after the “exotic and different” amazon, something he wanted his new company to be known for. Staying true to the original vision, Amazon has gone on to become a global force, market disruptor, major innovator, and a helluva lot more than just an online bookstore. Today, Amazon sells everything under the sun, has its own TV streaming service, has cornered the e-book market with Kindle, groceries with AmazonFresh, and knocked Black Friday off it’s perch with Prime Day becoming the nation’s biggest shopping day. Along the way, Amazon has been sued by some of the biggest names in the game, including Barnes & Noble and Walmart, but that hasn’t stopped the company from becoming a household name and one of the most recognizable brands on the planet. Have you ever noticed that the arrow on the Amazon logo goes from the A to the Z, a representation of the fact that Amazon carries every product from A-Z? How about the fact that the arrow is shaped like a smile? If you offer service with a smile, you’ll be successful. Amazon is simply Exhibit A of this principle. In late August last year, the New York Times ran a no holds barred article on life at Amazon. From grown men crying at their desks almost everyday, to employees being pushed further creatively than they ever thought possible, one word sums up life at Amazon – intense. Working for a market leading, world dominating brand name is a dream for anyone who has even the slightest bit of ambition, but are you willing to give 110% all day, everyday? If not, don’t even think about applying to work at Amazon. However, you’ll be more than richly rewarded with above industry average compensation and benefits. Amazon’s employees are based in centers focused on international development, fulfillment, customer service, data, and software development, offering 24/7 support all over the world. Amazon hustles the world’s top MBA programs to seek out the next Amazonian with a spirit of innovation, which is the driving force behind their rapid growth. 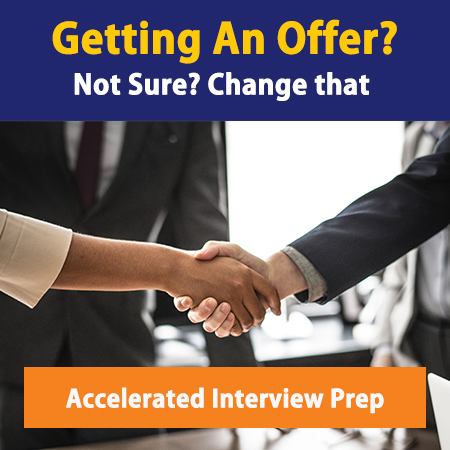 The interview process is known to be extensive in duration (about 4 months start to finish), number of interviews (multiple phone interviews and potentially 5 in-person interviews in a day), and depth of interview questions. Be prepared to convince your interviewer that you’re driven yet laid-back, committed yet cool. You’ll want to answer questions such as “Why Amazon?” with specific details and a truly personal twist. Don’t forget that they’re out for top talent, and don’t be surprised if they make the first move through a cold contact resume request or invitation to interview (be sure you’ve updated your LinkedIn profile with any tech-friendly insights). Finally, every interviewee signs a mutual NDA form at the start. While you may feel out of the loop, consider this a benefit – your interviewers realize that answers from both sides might be vague and they’re known to be generally laid back and personable. With a belief that everyone is a leader and “It’s Still Day One,” Amazon offers employees opportunities to be on the cutting edge of new and innovative developments. Learn more about Amazon careers on their Career Page. As always, network, network, network, and ask the right questions to see if this is the next best fit, for you.